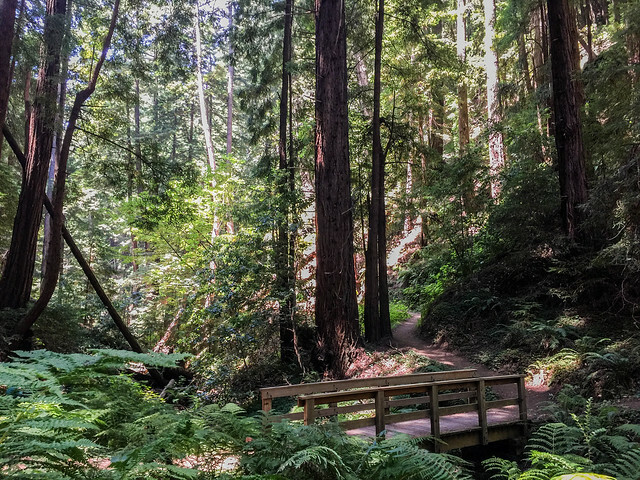 This hike was organized on a Sunday by the Midpeninsula Regional Open Space District (MROSD) and required registering a few weeks before. 10 people showed up out of the 30 that had registered. 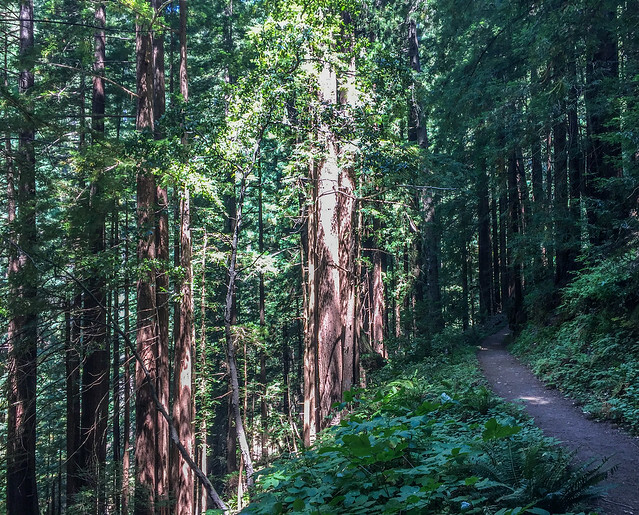 Called Redwood Oxygen and led by Bob Segalla and Sam Berry, this was an out-and-back hike. 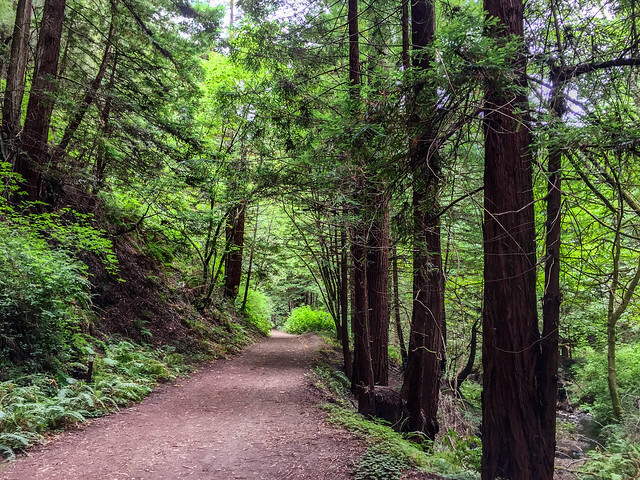 The pace was leisurely with attention to exploring nature and getting acquainted with plants, wildflowers, and the history of the preserve with the help of the docents. Half Moon Bay, where this preserve is located, was foggy on the day of the hike and at least 20 degrees colder than San Jose. 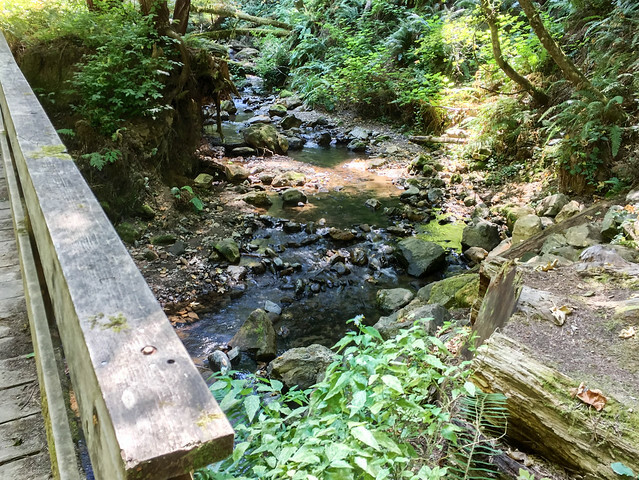 Aside from the parking situation, this preserve is a great place to hike in summers. I saw a decent number of people visiting the preserve that Sunday – solo, in big and small groups, including cyclists. 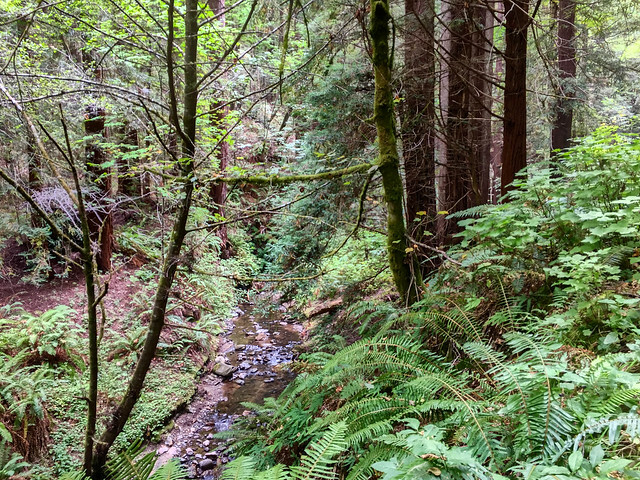 The Purisima Creek running along the Purisima Creek Trail reminded me of the Penitencia Creek in Alum Rock Park, just in a more magnificent and splendid setting of redwood trees and ferns. I hope to make a repeat visit soon. 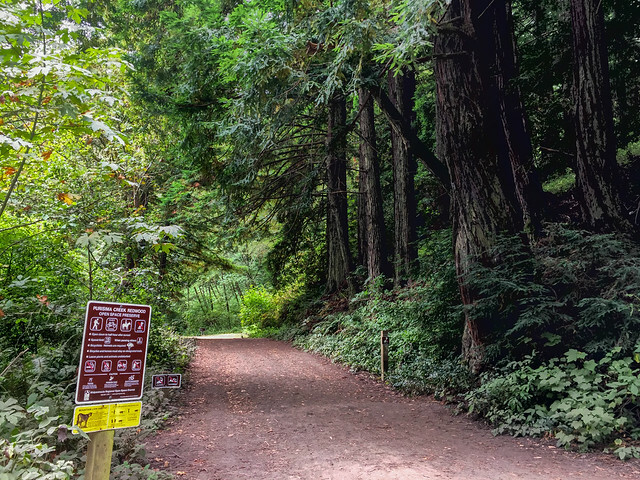 There are three access points to the preserve – in the north, in the east, and in the west. 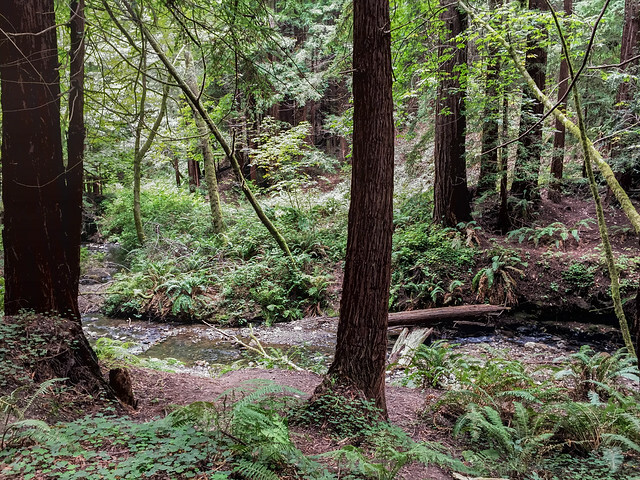 For this hike, we met at the western trailhead, which is at the end of the Purisima Creek Road. 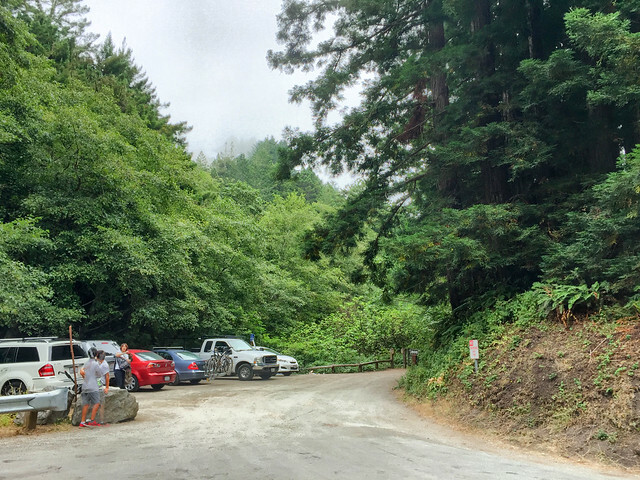 Parking Lot: The parking lot is on the right side at the end of the Purisima Creek Road. There is space for only five vehicles. 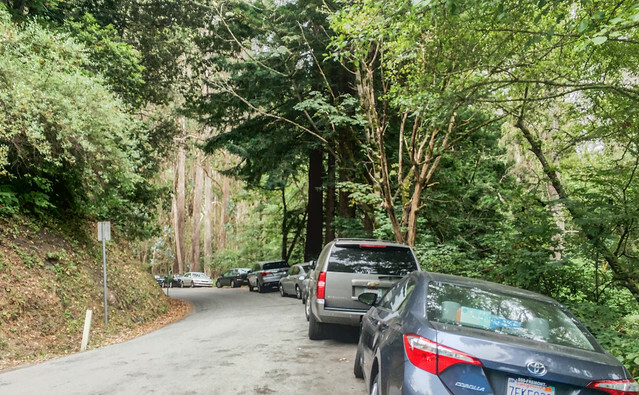 Everybody else ends up parking on the Purisima Creek Road, which is almost a single-lane road. 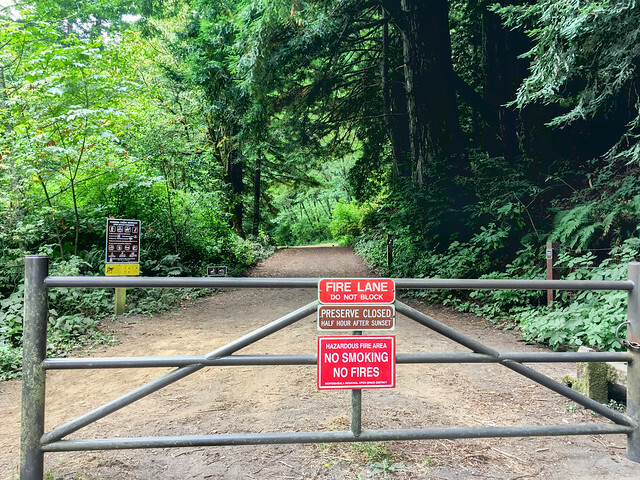 Beyond the parking lot, there is room for a few cars behind a locked gate; our docents had the key to the gate so some of us could park inside the preserve, right opposite the restroom. 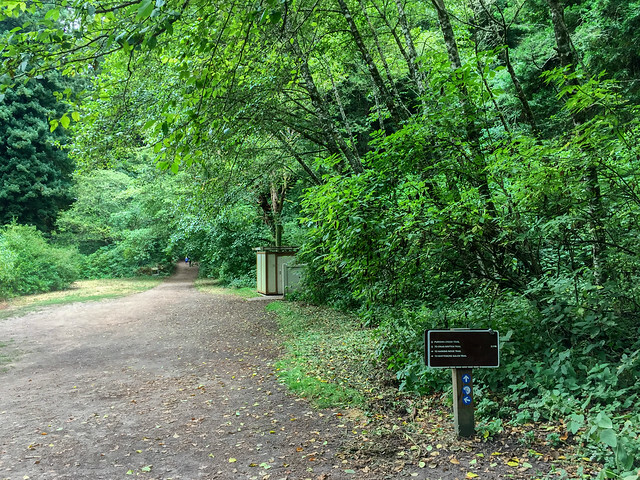 Restroom: Single, inside the preserve, at the trailhead. (Sadly, the restroom was in a disgusting state on this particular day).